Muscovite. 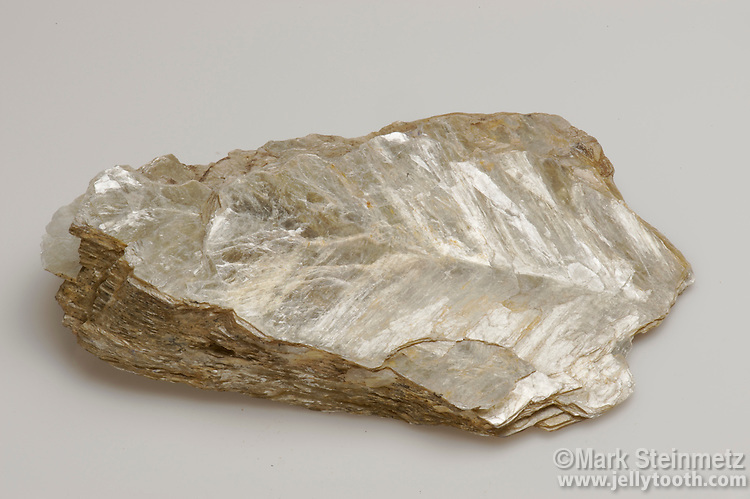 Mica, a common rock-forming mineral. Characteristic glassy to pearly luster, and basal cleavage, with easily peeled plates of extreme thinness.